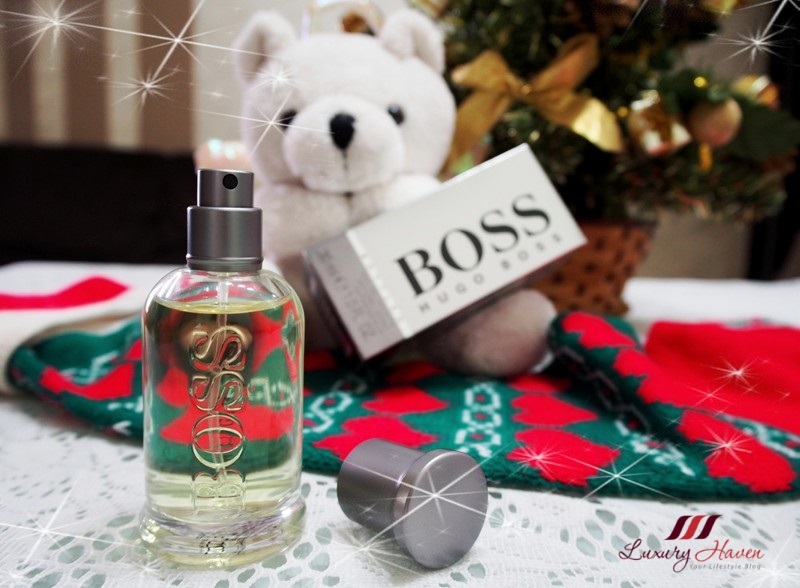 You are here:Home » Fragrance » BOSS Bottled Eau de Toilette Fragrance Giveaway Winners! 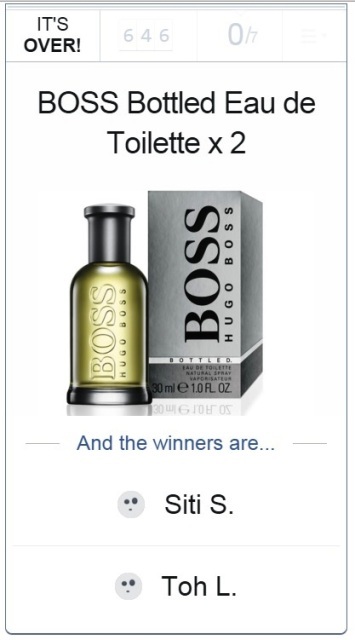 Thank you for all the entries at BOSS Bottled Eau de Toilette New Year Fragrance Giveaway, with a total of 646 entries! Here's announcing the winners! Are you one of them? Congratulations to Siti Sangadah, and Toh Lay Hoon! 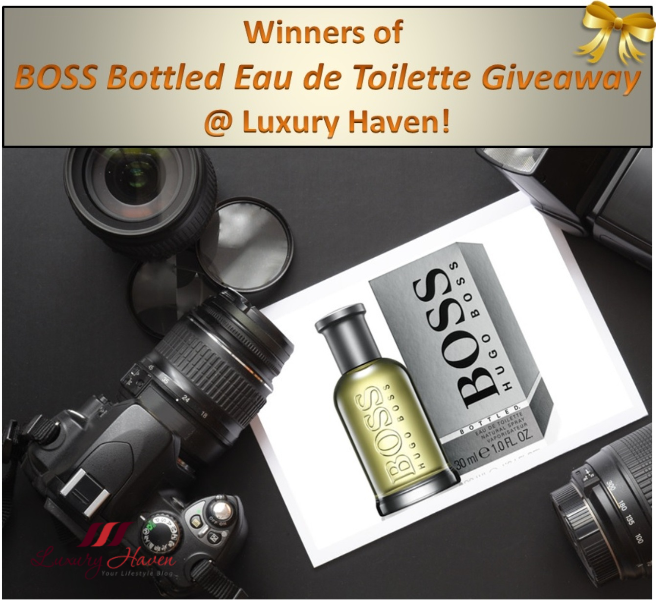 These winners will walk away with a 30 ml bottle of BOSS Bottled Eau de Toilette each for their beau! After posting your comments below, please follow up with an email to luxuryhaven [at] hotmail [dot] com, with your Name, NRIC, Email and Mobile Number. Your details will be submitted to the sponsor when all winners have responded, and you shall receive an email regarding the collection of your prize. Oooh this is a really nice giveaway! Hugo Boss is my bf's fav! Congrats, Siti! Enjoy your prize! Great Giveaway and congratulations to the winners! Thank you for luxuryhaven for the giveaways. First time win prizes from blogger super happy. Congrats, Lay Hoon! Enjoy your prize! Happy 2016 to you. Congratulations to the two lucky winners! These are great prizes!!! Great prize, congrats to the winner! !